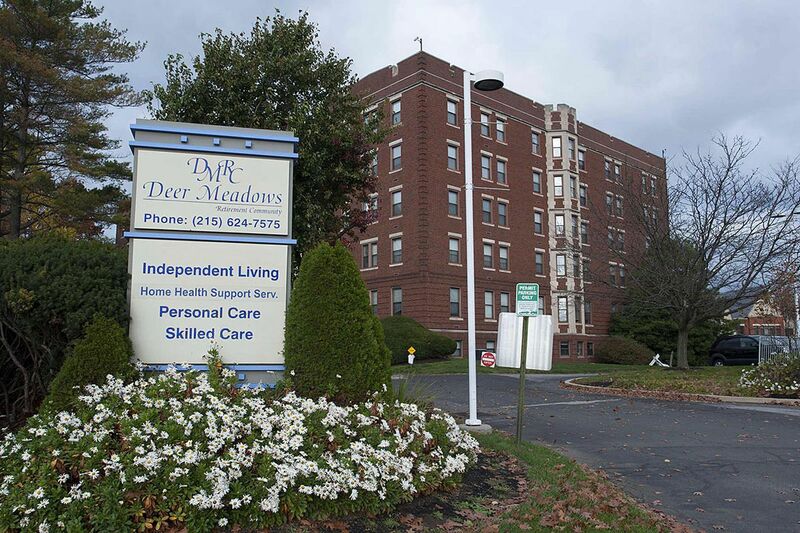 Deer Meadows Home Health, in Northeast Philly, was sold to a for-profit company after a bankruptcy. Cadbury Nursing & Rehabilitation Center, in Cherry Hill, part of a nonprofit founded by Quakers in 1978, is under agreement of sale to a for-profit company. If the sale is completed, Cadbury will join an exodus that has seen the percentage of the Philadelphia region's nursing homes owned by for-profits surge to 63 percent this year, from 49 percent in 2010, an Inquirer analysis of federal data found. Nonprofits sell facilities for many reasons: They need the money, change their mission, or succumb to financial pressures on the industry largely caused by heavy reliance on the federal government's low-paying Medicaid program. Whatever the reason, the shift of 5,000 beds comes at a critical time. Regulators are pushing for more in-home care, and conversion to for-profit could affect staffing levels for those patients who remain in nursing homes, because of differences in the way for-profits and nonprofits spend money. "The not-for-profits spend more money on staffing, which is the single most critical predictor of quality of care," Toby Edelman, a senior policy attorney at the Center for Medicare Advocacy Inc. in Washington, said. "Having enough registered nurses, in particular, determines quality." Jon Dolan, chief executive of the Health Care Association of New Jersey, a trade group for for-profit nursing homes, said it is not so simple to draw distinctions between nonprofits and for-profits, which sometimes keep facilities open that would likely close without the efficiencies they bring. "It doesn't mean we're just drastically cutting staffing, and somebody's running away with the money," Dolan said. The federal Centers for Medicare and Medicaid Services estimate how much registered-nursing care facilities are expected to provide based on how sick their residents are. Differences in staffing are real, according to an Inquirer analysis of that CMS data for 237 Philadelphia-area nursing homes backed up by national studies. Recent surveys showed that the median, meaning half of the facilities provided more and half provided less, nonprofit provided 99 percent of expected registered-nursing hours per resident per day. The median at for-profits was 73 percent. Keep in mind that those figures are likely inflated, said Charlene Harrington, a professor emeritus at the University of California-San Francisco. "They staff up before the survey, so it looks like they have plenty of staff," said Harrington, who has been researching the impact of for-profit companies on the nursing-home industry for many years. Starting next month, federal regulators will require most nursing homes to electronically report quarterly payroll data, a change that is expected to give a more accurate picture of staffing levels. Lisa Sofia, chief executive of Premier Healthcare Management L.L.C., a Long Island company that owns the formerly nonprofit Deer Meadows Retirement Community in Northeast Philadelphia, called the lower staffing levels at for-profits "much more reasonable." "You can still operate a very well-run business, with good outcomes," said Sofia, who led Deer Meadows, which is a continuing-care retirement community with a 206-bed nursing home, through bankruptcy and the sale to Premier for about $30 million in 2014. Deer Meadows provided 69 percent of the registered nursing hours expected by CMS, according to survey data. That is an improvement from 62 percent in 2013, when Deer Meadows was struggling and cutting to stay open. What is different now is that Premier has the money to invest in repairs, health-care equipment, and an electronic-medical-record system, Sofia said: "The mission remains the same. The philosophy remains the same." Premier, which owns five nursing homes according to its website, is expected to take the same approach at Cadbury, a continuing-care retirement community with a 108-bed nursing facility. Cadbury has not identified Premier as its buyer, but Jonathan Bleier, a partner in Premier, is listed as the contact person in Premier Cadbury's registration with Medicare. Generally, in Pennsylvania and New Jersey, it is not easy to figure out who is responsible for a nursing home, given the complicated corporate structures favored by private buyers. Sofia declined to talk about Cadbury, which has logged mounting operating losses over the last three years, including a $2.25 million loss in the year ended March 31. Megan Nessell, chief human resources officer for Cadbury - which also has a property in Lewes, Del. - said the Cherry Hill facility "needs a lot of capital improvements that we do not have the funds for." Nessell declined to disclose the sale price, but said it would be enough to pay off the facility's bonds. Cadbury's Cherry Hill facility had $12.8 million in bond debt on March 31. The sale remains under review by state regulators. Other Cadbury affiliates are not part of the deal. The sale of Cadbury represents just a small shift from nonprofits to for-profits in the region. The biggest deals were the 2011 sale of five homes with 1,176 beds by NewCourtland to Mid-Atlantic Health Care, of Baltimore, for $75 million, and the late 2014 sale of seven facilities with 1,215 beds by the Roman Catholic Archdiocese of Philadelphia to Center Management Group for $145 million. Center Management, of Flushing, N.Y., also bought three nursing homes and a residential-care facility from the Diocese of Camden for $40 million last year, but only one of them is in the immediate Philadelphia region, in Cherry Hill. "I don't think that it's ever fair to say, 'don't ever go to a for-profit because they are bad,' but consumers need to look very carefully at these things regardless of who owns it." Talk with friends, relatives, social workers, doctors, and religious groups to find out what places they suggest. Get in touch with each place on your list. Ask about how many people live there and what it costs. Find out about waiting lists. Visit and meet with the director and the nursing director. Look for Medicare and Medicaid certification, handicap access, residents who look well cared for, and warm interaction between staff and residents. Ask questions. For example, ask the staff to explain any strong odors. Bad smells might indicate a problem; good ones might hide a problem. Make a second visit without calling ahead. Try another day of the week or time of day so you will meet other staff members and see different activities. To find nursing homes near you, visit Nursing Home Compare at www.medicare.gov/nursinghomecompare; but experts warn that the site's star ratings should be relied on only to avoid the worst facilities. Download a nursing home checklist at https://www.medicare.gov/NursingHomeCompare/checklist.pdf.